Moringa oil is an up-and-comer in the beauty and wellness worlds. Why is it so popular with both skin care specialists and users across the globe? 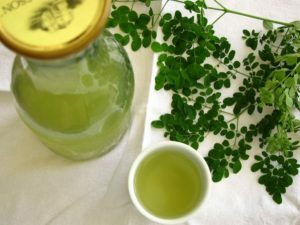 Here’s a look at the health benefits of moringa oil that will seriously improve your skin and beauty regimen naturally. No one likes looking their age, or even older. 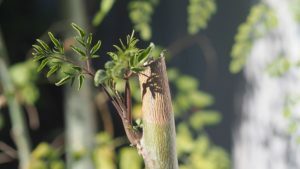 But moringa oil is one of the best natural remedies for the signs of aging. Moringa contains compounds that can actually reduce the appearance of fine lines and wrinkles, making it a favorite with women across the world. By using moringa oil, you encourage your body to create fresh healthy skin cells, while protecting your current cells from damage. These two ensure that your skin looks younger and healthier. If you have chronic skin irritation or inflammation, this benefit is perfect for you. The nutrients contained in moringa have anti-inflammatory properties, calming your skin. This is especially beneficial for people with acne-prone skin, as it reduces the redness naturally. 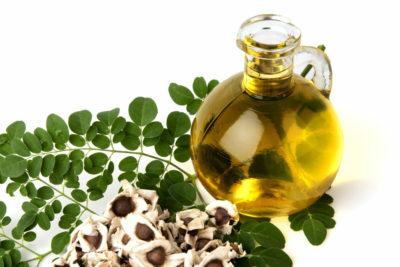 So if your skin is often sore, red or uncomfortable, try using moringa oil to soothe and nourish it back to health. Whether you’re prone to skin infections and acne, or you just want to keep yourself protected, moringa oil can help. Moringa’s natural anti-bacterial properties halt harmful bacteria in their tracks, so they can’t infect your skin. This is amazing for recurrent infections such as acne infections. But it also helps with preventing infections in small wounds such as scrapes, scratches, abrasions and insect bites. So keep a bottle in the first-aid kit for scraped knees or cut fingers. The wound will heal quickly, and the skin will feel beautiful at the same time! We all know our skin is exposed to the damage of UV rays. But did you know you can prepare your skin to reverse that damage? The best way to reduce UV damage is by halting the free radicals caused by UV damage. And how can we do that? With antioxidants. Moringa is full of natural antioxidants that protect your skin from damage. It protects your skin cells from damage, so they can function optimally. This keeps your skin looking youthful, firm and healthy. When it comes to foods, vitamins are important. When it comes to skin-care, they’re vital to healthy, happy skin. But do you know what to ‘feed’ your skin to keep it plump and firm? Moringa oil offers nourishing fat-soluble vitamins A and E, as well as vitamin C. Combined, these are the most essential nutrients for skin health. They aid in supporting collagen production, encouraging healthy cell growth and act as natural antioxidants. This can be particularly helpful if you’re not consuming enough nutrients through your diet. So make sure you feed your skin, just like you feed your stomach! Moringa oil benefits your skin in all of these ways and more. With so much to offer, why wouldn’t you include it in your skin-care regime? After all, all you have to gain is beautiful, healthy, happy skin. Take a look at our favorite 5 moringa oil brands.